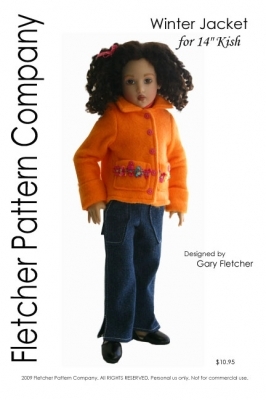 Up for consideration is a warm, fuzzy Winter Jacket pattern for the 14" Kish dolls. The jacket is designed by Gary Fletcher and also available for Leeann. Notions: 7ct. 3/16” buttons, 3ct. 4/0 snap sets, matching thread.